Parrots is probably the most popular Pets, because their maintenance requires little hassle, such as care ha dogs or cats. They don't take much time, they do not need to go for a walk. But their stay in the apartment can be made more comfortable. As a rule, parrots are kept in cages. The cage is their home, they feel there in security. In a cage they eat, drink and sleep. 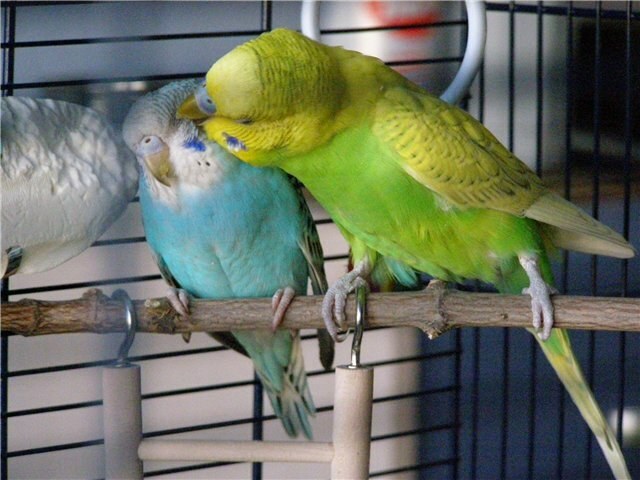 Like all birds, budgies sitting on a perch, so it is a mandatory attribute of each cell, and preferably should be made of natural wood. "But birds don't sit in one place, they fly!" - you might say. And that comment will be fair! Indeed, and whether the parrots living in the home, to fly and how to make it safer for him? This question is asked all the lucky owners of these Pets. All the experts in one voice say that it is not only necessary, but vital. After all, a parrot is a bird, and one of the conditions for a good life of birds is flight. If they don't fly, the muscles in their wings weakens, becomes flabby, and this, in turn, detrimental to their health. Parrots need to fly in order not to fatten, but the fact of the negative impact of obesity known to all. And finally, the most simple: flying parrot diversifies his leisure, in turn, providing a more trusting relationship between you and your pet, and this is a big plus when teaching him to talk. If you are pursuing this goal (teaching conversation), then you also need to know one more thing: after you purchase a parrot to release a free flight is possible only after two weeks or even a month. While he will not pass the adaptation period: adjusting to the change of residence, environment, well, you in the end. • ideally, the room in which you will fly your bird must be without any gaps, for example, between the Cabinet and the wall. Among the lots of positive aspects from visiting the parrot at home, you also need to think about the negative: they love to chew on, be it paper, Wallpaper, wire – so be prepared! Yet, quite naturally, they leave wherever fly products in your life. Here are the two main negative points, but the rest – the joy and delight to no end!